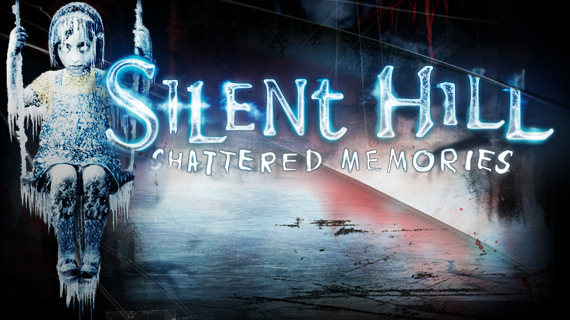 Today we are only a week away from the release of Silent Hill: Shattered Memories, a remake of Konami's original survival horror game. As one last tease with which to whet our appetite, Konami today released this music video trailer. Silent Hill has traditionally been a masterful manifestation of the Eastern interpretation of horror: an atmosphere of perversion founded not on sudden scares so much as an unshakeable feeling that something unnatural is afoot. When the first Silent Hill game came out in 1999, I saw it as too similar to Resident Evil; obviously I was not as discriminating a decade ago as I am now. I like to think that by Silent Hill 2, I'd come to appreciate the series. The continuation of the first game's plot into Silent Hill 3 appealed to me, but the series has strayed since then. Silent Hill 4 was not intended to be a Silent Hill game at all, and the next two releases, Origins and Homecoming, were American-made, as evident from the focus on combat instead of storytelling. A remake of the original Silent Hill holds great potential, and whether or not the Wii is well-suited for such mature games, motion control may subject gamers to the horror of Silent Hill more directly than ever before. Here's to hoping next week's release proves to be something worth getting scared over. Posted On Dec 2, 2009 in News with One Comment.